The approach of summer is a great time to re-evaluate your health and beauty routine. As much as our concern may veer toward our external appearance at this time, we also need to pay heed to our internal health. We glow on the outside when the inside is in balance. It is what we eat that affects the whiteness and strength of our teeth. It is what we nourish ourselves with that provides better health and an external glow, and it is what we do that builds strength and consistency in our health routine. Without a clean, white smile we lose a level of confidence in our physical appearance. So, in order to maintain that self-confidence, we need to look after our smile. Here are some tips to look after your teeth and oral health for summertime and beyond! Over time teeth become stained and appear more yellowy when we overdo things like coffee, tea, certain types of alcohol. Ideally, limit your intake of teeth-staining food and drinks. Use great quality toothpaste that is specifically designed for removing such stains. Brush well at least twice a day and use natural teeth whitening products such as bicarbonate of soda, coconut oil, and of course, activated charcoal is also great for oral health as well as a great smile. Eat a diet that includes Calcium-rich foods helps to strengthen teeth enamel. If you are sensitive to dairy… don’t worry! There are many non-dairy foods high in calcium such as sardines, salmon, nuts and seeds (try poppy, sesame and chia seeds), leafy greens, and beans and lentils. Drink water in place of high-sugar sodas. High sugar drinks are extremely damaging to your teeth and gums. The same goes for having too much acid in your diet. And what of the rest of your body? How can you achieve that summertime glow that radiates health and vitality? The answer is really simple, you just need to make better, more informed choices about your health. No one is perfect and living up to ideals is challenging and futile most of the time, but better choices that make sense for you and your needs is what truly counts. Here are some more tips for you! Assess your health honestly and outline the things you want to change and improve. Keep the list short so as not to overwhelm you. Think of up to 3 small adjustments, that can really create a big impact for you. Give yourself time by doing one good thing for your health at a time. Go natural whenever you can. Chemically enhanced products often make big promises that don’t always materialize. Natural products are something that you can trust to work in tandem with your body for better long-term results. Most importantly, make a commitment. Is it better teeth you want, a more youthful complexion, or better overall health? It could easily be all three! Make a decision and stick to it. Schizandu organics are committed to bringing you the highest quality wild-crafted and organic products so that you can be confident that you are not only avoiding chemicals but also giving your body the nourishment it needs. Perfectionism has always been their "thing”! They strive to make every person who is interested in using only the purest cleansing, detox, and cellular nourishment products the happiest customer. Here’s a reminder of what activated charcoal is! Shop Now & Get it Here! 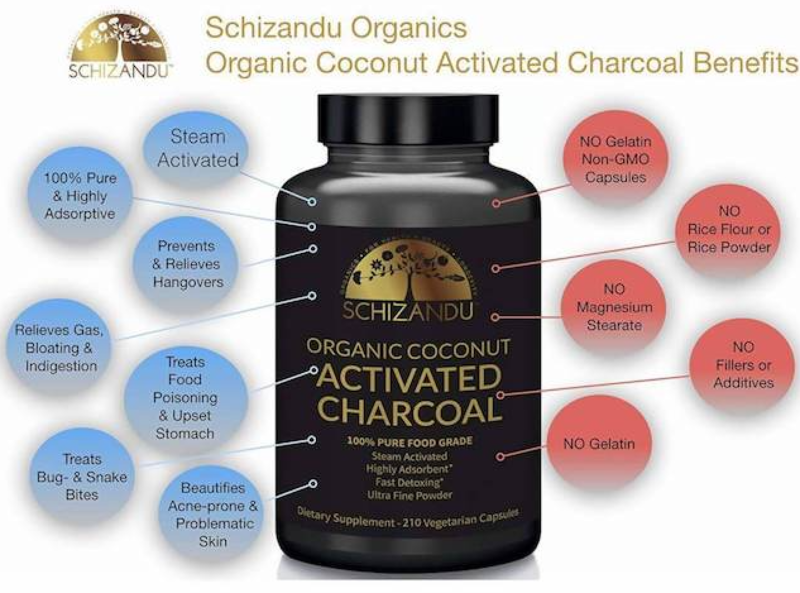 Schizandu organics organic coconut and activated charcoal capsules are Non GMO and certified all natural food grade. They are suitable for vegans and gluten-free. The charcoal natural solution is made exclusively from organic coconut shells. An all-natural & renewable source. Vegetarian and magnesium stearate free. 100% pure, steam activated, organic coconut charcoal, activated carbon at its finest. Finely milled activated charcoal powder features much better adsorption than bamboo alternatives. For topical & internal use. These convenient, durable, toxin-free capsules will be your favorite to carry with you, just in case they are needed. Ideal for detoxification & cleansing- this is one of the most versatile beauty products for the face and is also valued for maintaining healthy digestion. Use for stomach aches and supporting colon and candida cleanse. This organic food grade charcoal is also ideal for dogs and other pets. Virgin coconut activated charcoal (from organic coconut shells) is encapsulated and custom packaged in a jar for easier & cleaner handling. There is a 30-day money-back guarantee if you are not fully satisfied. It can help to soothe burns, bites, and wounds. Simply mix the capsule contents with some ground flax seeds and add some water before applying to the affected area. It is triple tested for heavy metal contamination and microbial because you should only consume the purest, 100% raw, unrefined Calcium Bentonite Clay. One that has no additives, binders, excipients, fillers, preservatives, or any chemicals in it. Bentonite healing clay is edible & perfect for internal detox, it is tested, filled and packaged in an FDA-approved facility. 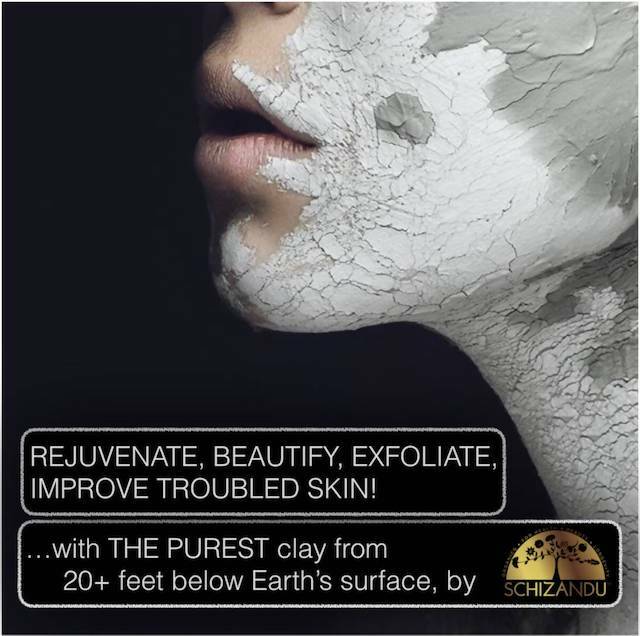 This clay is safe and perfect for internal consumption as well as skin care, acne treatment, etc. If you’re not familiar with using clay, please check with your Naturopath before experimenting with it. You should always seek the advice of a professional before using any cleaning products. Must have for DIY projects: You will have enough fine powder to enjoy all DIY projects at a fraction of the cost of little jars! Have fun making face and hair masks, face wash, detox baths, acne treatments, toothpaste, soap bars, shampoos, deodorant or cleansing recipes like smoothies and specialty drinks. 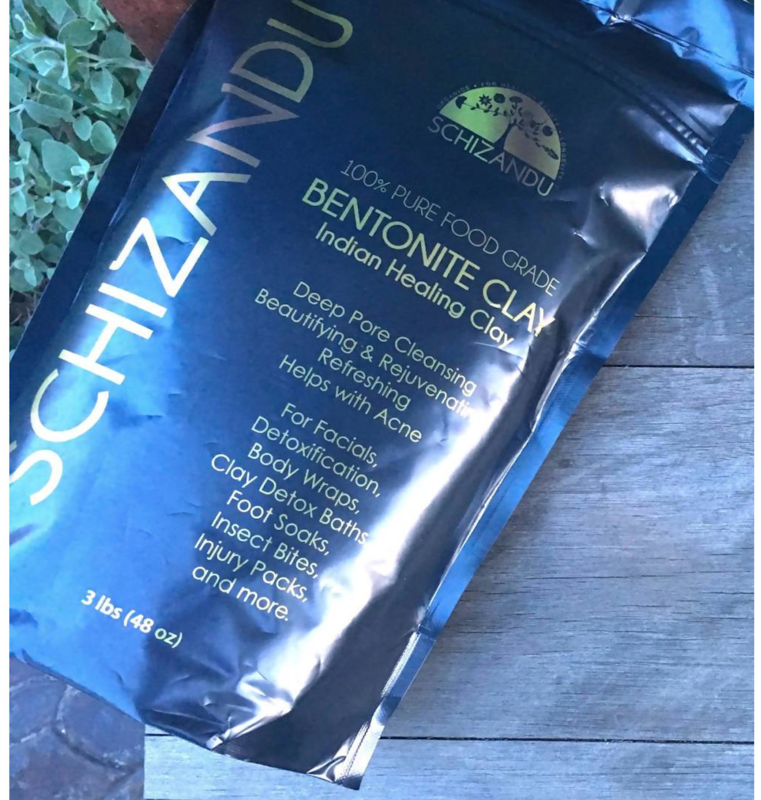 Bentonite Healing Clay your Skins simplest best friend: This 100% natural, food grade (montmorillonite) clay is naturally rich in beautifying, rejuvenating and detoxifying. See and feel the difference! It contains minerals such as silica, calcium, iron, and potassium. Anyone using it can see the difference in just 5 (for sensitive skin) to 10 minutes! If redness occurs, do not worry, it’s the powder of the living clay and it’s natural. The redness will go away within 30 minutes. If you’re in a hurry or you have sensitive skin, wash off sooner (in 5 minutes). In case your looking for the perfect Charcoal Detox bar check this out ! Schizandu Organics, bring you the highest quality, 100% pure, truly natural products. It is their top priority. If they can’t source the purest ingredients, they will not make the product!